﻿ Braille for your packaging. Did you know that the number of people who are visually impaired around the world is estimated to be as high as 285 million? Of this number, there are more than 150 million users of Braille. HLP Klearfold can help you target audiences who may be visually impaired by embossing Braille onto your clear plastic packaging. It is very important that everybody can read what it is you’re selling, and HLP Klearfold can help you reach audiences that suffer from loss of sight. HLP Klearfold can print pharmaceutical standard Braille directly onto your packaging, offering precise results that have been produced and tested with the RNIB. 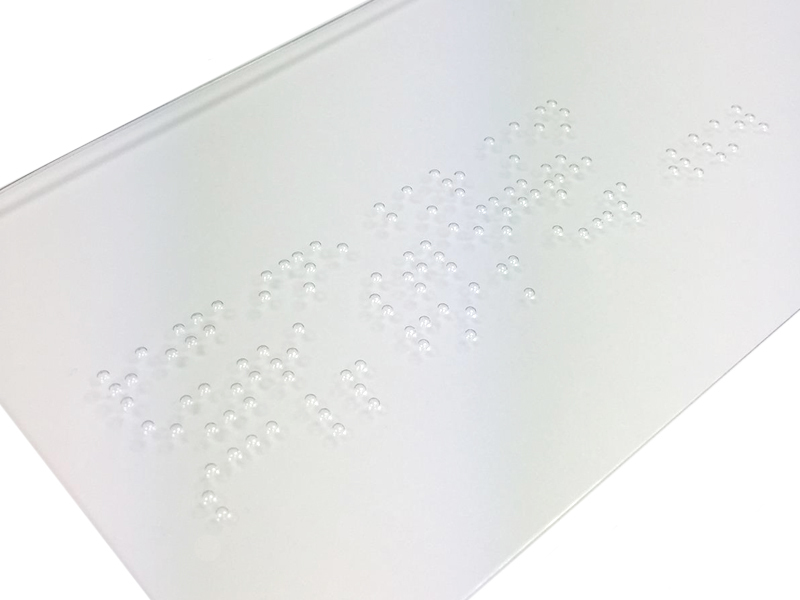 When it comes to the use of Braille on your packaging the large space that it can take up is often a challenge, but HLP Klearfold will help you every step of the way to ensure the most important information is displayed in Braille format. To learn more about our Braille and our ability to emboss this onto your packaging, please visit our contact page.